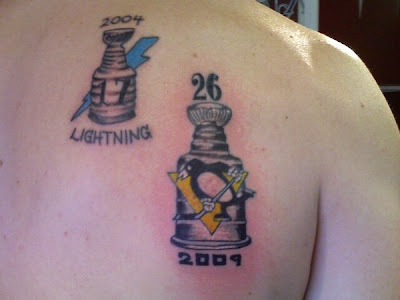 Sure is nice (although it looks sore), but does it top Pascal Dupuis' post-Cup ink? The Lightning one looks like a prison tattoo. I thought was Louis thought. He's got to be able to afford a better tattoo artist.